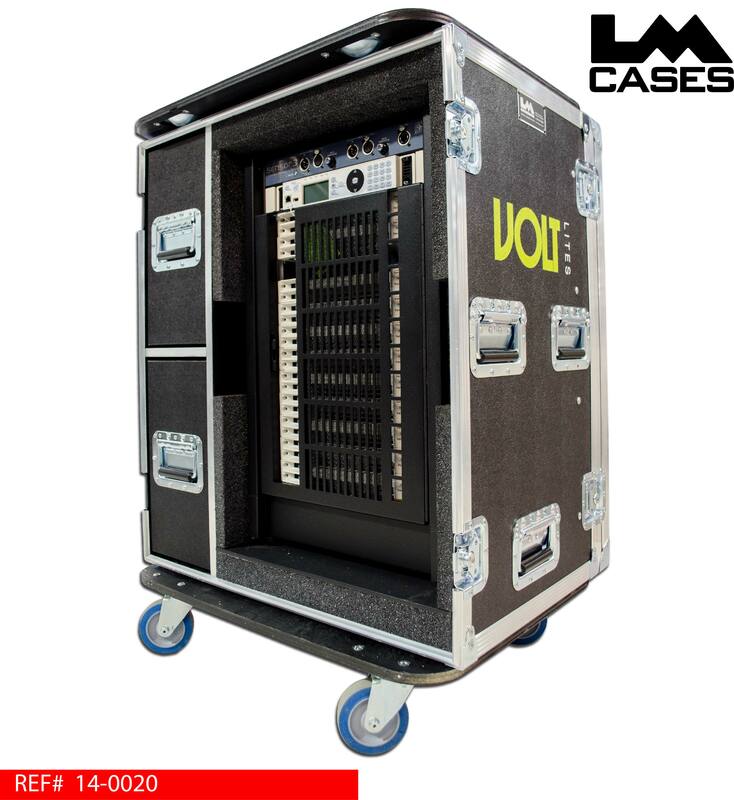 This case was designed for Volt Lites for their 12 channel ETC Sensor3 portable dimmer pack. 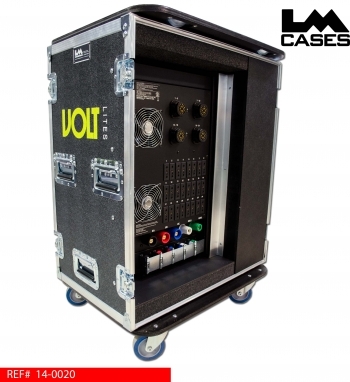 The case is based around a 30" x 24" truck pack and is designed to stack with their other dimmer cases and racks of the same footprint. 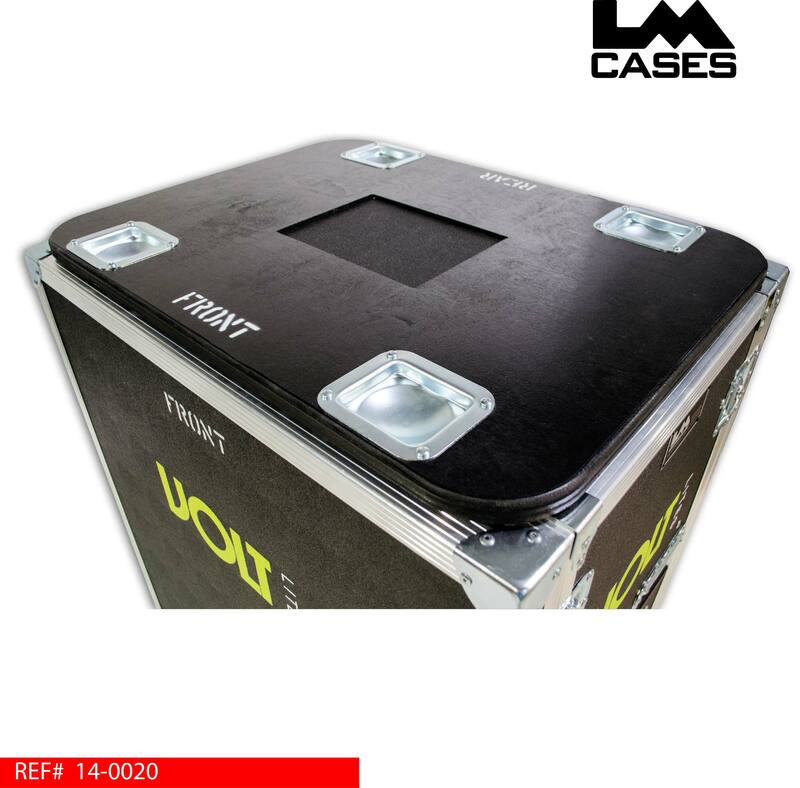 The pack is held in a custom foam lined compartment with a piece of 1/2" marine grade plastic supporting it. To the left of the pack are 2 custom drawers built out of 1/2" Baltic Birch plywood and mounted on HD Accuride glides. 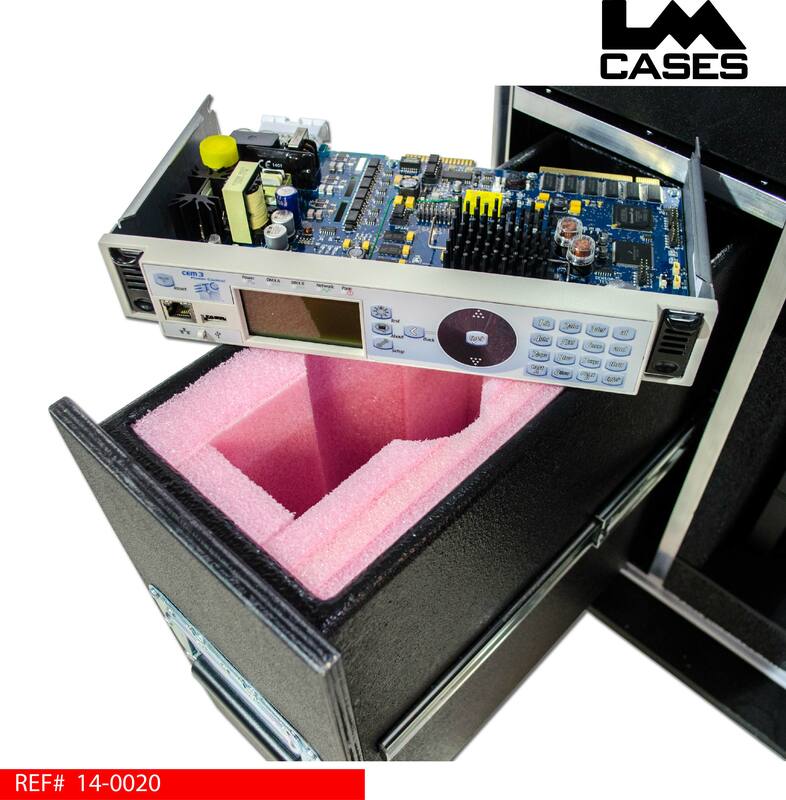 Each drawer features a custom CNC cut pink anti-static foam insert to hold an extra CEM3 power control module in the top drawer and two Sensor3 dimmer modules in the bottom drawer. The exterior case is build out of 1/2" plywood and features 4" Colson casters, a top mounted 3/4" birch pad with stacking caster cups and a route out for a Mcloone road case label. 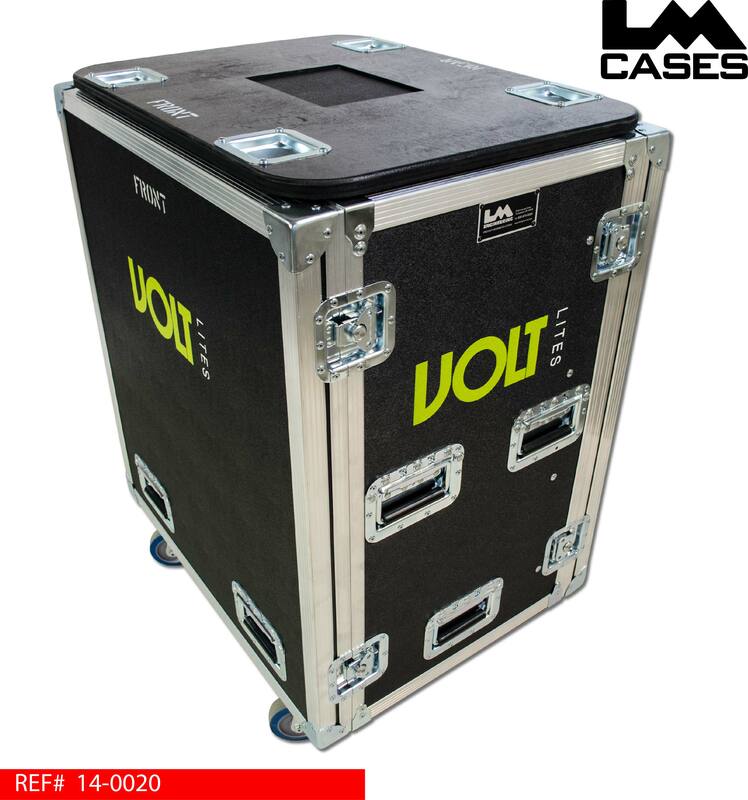 Also featured on the case exterior is a 2 color silkscreen of the Volt Lites logo and all deep recessed hardware. 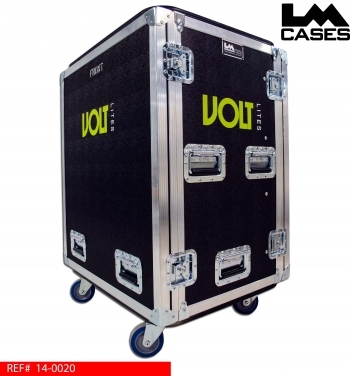 Special thanks to Harrison & Matt at Volt Lites!